The man who saw the possibilities to “fill holes in the ground” with state-of-the-art laboratories on the east side of the University of Oregon campus now has a vision for attracting the right people to power the UO’s newest science initiative. UO benefactor Lorry I. Lokey says that $10 million will get the ball rolling to endow up to five faculty positions for the upcoming Phil and Penny Knight Campus for Accelerating Scientific Impact, and he hopes to inspire others to make similar gifts. Lokey expressed his intent to lead the charge for new professors following the March 2 groundbreaking for the Knight Campus, a $1 billion project designed to fast-track scientific discoveries into treatments, therapies and technologies that can radically improve human health. The campus was launched in October 2016 with a $500 million gift from Nike founder Phil Knight and his wife, Penny. Lokey’s earlier lead gifts for new construction were the engine behind the UO’s transformative build-out of research facilities from 2004 to 2008. The university named its group of science buildings the Lorry I. Lokey Science Complex in appreciation for his additional $74.6 million gift to advance teaching and research in several fields, notably neuroscience and materials science. In the underground core of the complex, the Lorry I. Lokey Laboratories host super-advanced equipment used by teams of researchers across disciplines. This philosophy of sharing high-cost research instruments among scientists in collaborative fields is also the model for the new Knight Campus, which will connect to the Lokey Science Complex via a sky bridge spanning Franklin Boulevard. While completion of the first phase of the Knight Campus is two years away, now’s the time to plan strategic hires, said Patrick Phillips, the acting executive director. Private gifts are essential, Phillips said, because the Knight Campus will require many new faculty positions beyond those in existing departments and research centers. Endowed chairs serve as magnets to attract top faculty because they provide stable, ongoing funding for salary, research, graduate assistants and other resources. An Oregon native, Lokey graduated from Stanford University, where he is also a major donor. A journalism entrepreneur, he founded the Business Wire news service and built it into a fortune. He has since enjoyed a second career as a philanthropist, having given nearly $800 million to schools and colleges in the U.S. and Israel. Ensuring long-term impact guides Lokey’s philanthropy. 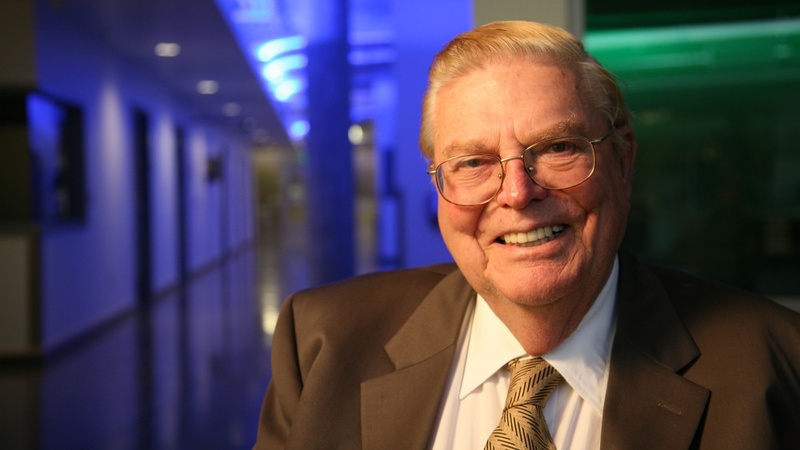 At the UO, he has invested nearly $140 million to support research and teaching. In addition to innovative science facilities, he has helped build the UO’s award-winning science library, expansions at the music school and the College of Education, and the journalism school’s Turnbull Center in Portland.